Cubase Arranger Track in Samplitude Pro X? Hi! 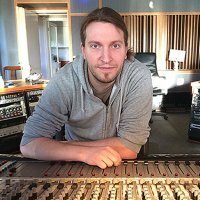 I'm a total newcomer to Samplitude Pro X, so please forgive the simpleness of this question. I'd like to ditch Cubase completely, but one thing I love and need is the Arranger Track that Cubase has. As a composer I find that utility very useful. I don't understand Samplitude enough to know about this. Does Samplitude have an Arranger Track like Cubase does? Maybe it has a different name? How can I do the same thing in Samplitude? Hello John and welcome. Unfortunately at this time Samplitude doesn't have an arranger track like Cubase. I haven't used Cubase in a while and therefore don't know what the arranger does exactly but if you're looking for a way to give your song a bit of visual structure...most people seem to be ok using blank MIDI objects. You can colour them in, change names and in combination with markers you can jump and play from there quite quickly. Surely not exactly the same but maybe a workaround for now? Omics; Interesting idea. Can you throw me a link for more info?